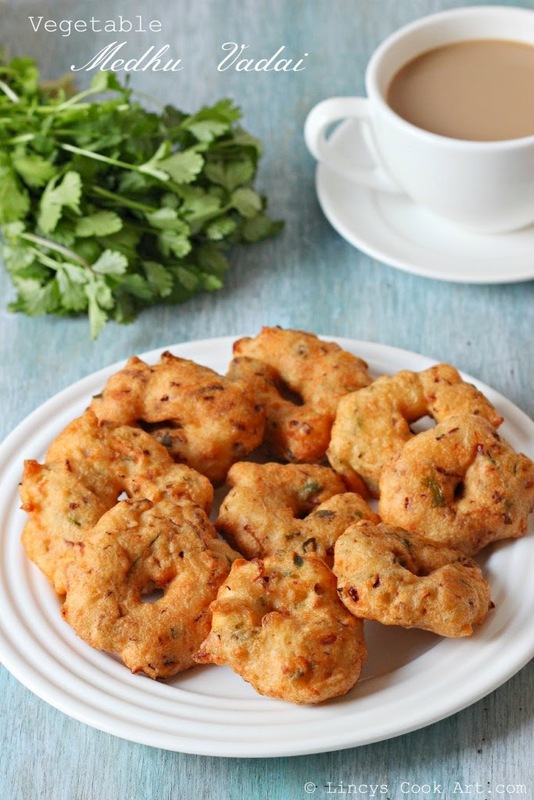 Vegetable Medu Vada: I already shared some variations of paruppu vada so i was thinking to give some twist for Medhu vada. So i searched in net and i found cabbage vada recipe. So i thought if cabbage can be added in vada why cant the vada to be made with other veggies. So i tried this vada and it was really tasty. 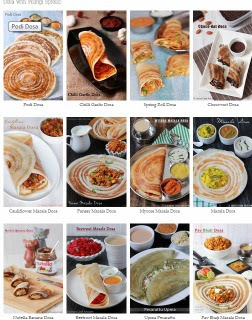 When i was making the vada i was bit worried because i chopped lots of veggies and was thinking how this batter is going to accommodate all these veggies? and how it tastes because i have not precooked any of the veggies. Especially worried about the beans will cook or not, i have grated using big size holes to prevent the carrots get overcooked but surprisingly all the veggies are perfectly cooked and well incorporated with the vada. 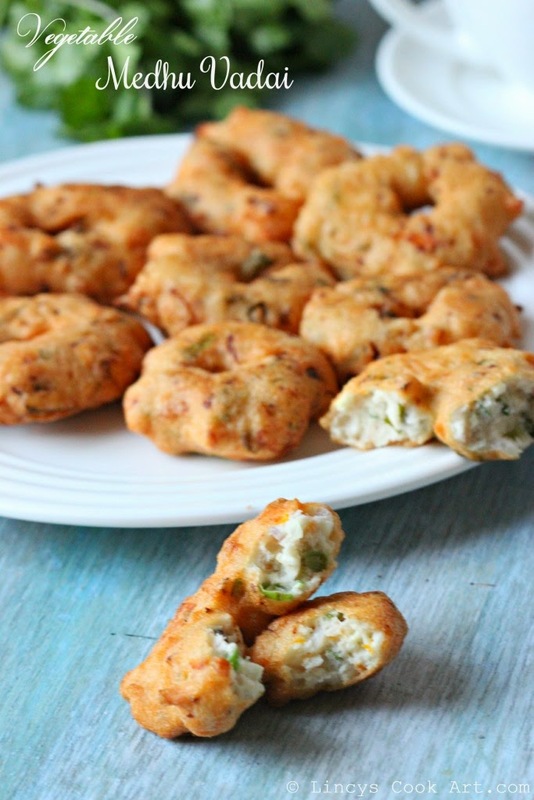 Really tasty healthy vegetable medu vadas perfect for this climate. Grind urad dal with only little water ( add less than ¼ cup water because veggies also have some moisture) till you get a slightly fluffy white stiff batter. Now add the rice flour, chopped veggies, onions, ginger, green chillies, curry leaves, coriander leaves along with salt and asafetida. Yummmm, grt snack, loved this variation.